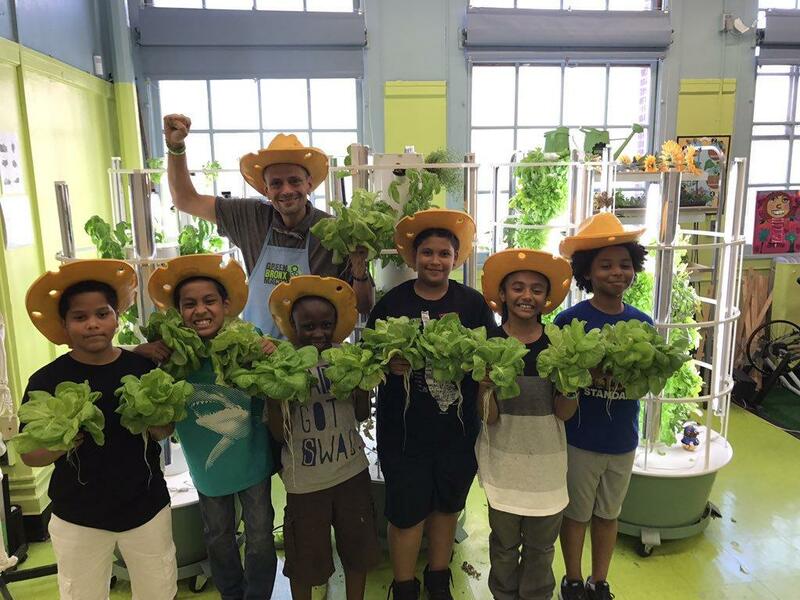 In what seems like a story from an inspirational film, teacher Stephen Ritz helped turnaround a struggling school in New York City with plants. After seeing one of his students use a flower to make peace with another, he started the Green Bronx Machine, an organization that implemented a “green curriculum” for grade school education. The model is now used in over 5,000 schools around the world as Ritz continues to grow the program. Ritz grew up and became a teacher in the South Bronx, which was a difficult environment where kids regularly struggled with grades and showing up to class altogether. The only food options were heavily manufactured -- Ritz told NPR that it was “easier to buy liquor than lettuce” in the area. It was a poor and dangerous community that needed a spark, and it certainly got a vibrant one. In what was mistaken as onions, flower bulbs expanded into daffodils after being hidden next to a radiator. During an altercation in the classroom, a boy appeared to grab a weapon after a girl didn’t want to put up with his annoying behavior any further. Instead, it was one of the daffodils and he used it as a peace offering. It’s a moment that fueled Ritz’s drive to create a green environment for his students. An abandoned school library over 100 years old was converted into a large, green classroom called the National Health, Wellness, and Learning Center. This was where the Green Bronx Machine was born. Starting out as an after-school activity for students, it morphed into a fully-integrated curriculum for Kindergarten through 12th grade. “We started as an innovative program for over-aged, under-credited, disconnected youths that's now become a way of life for everybody,” Ritz said in an interview with Mother Nature News.” “We believe that the art and science of growing vegetables align to common core and content area instruction that has helped the students, helped the schools and has helped the communities as evidenced by test scores, eating habits and school performance. The goal was to provide awareness to students about living a healthy lifestyle. It would feature lessons in growing their own vegetables, teaching them responsibility, and it ultimately improved academic performance. Ritz’s students had better passing rates on their exams and they showed up to class more often. The idea has since been expanded to many other schools across the world. Plenty of activities can be found at the Green Bronx Machine. There’s an indoor teaching farm that features seven tower gardens that are able to grow crops at any time of the year. There’s an additional outdoor garden that features a self-irrigation system and raised garden beds for further growing opportunities. A relatively new mobile cooking station was also installed to add to the experience. Ritz continues to work at the Green Bronx Machine while also being a keynote speaker at events. He believes his “green curriculum” is a better option for schools because it works with the students on a daily basis instead of an optional after-school activity. This creates a parallel for better results in academics, attendance, and living a healthier lifestyle.